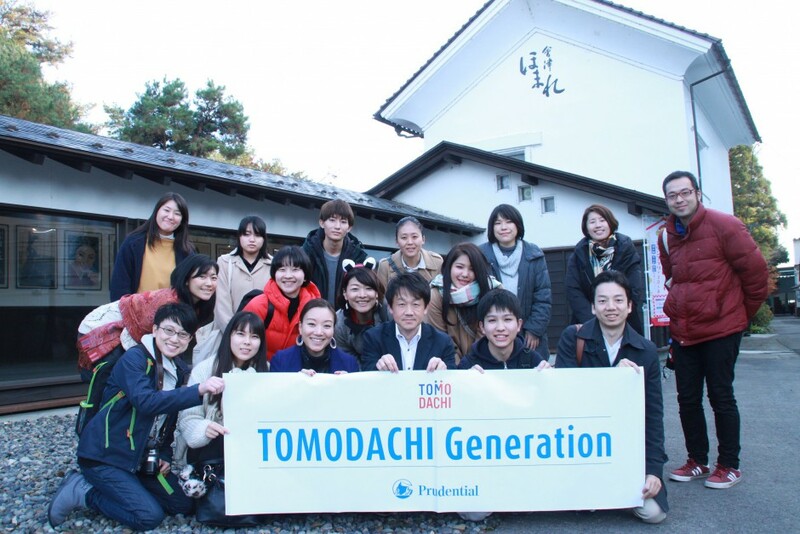 On November 24, 2018, the “TOMO Tour in Aizu” event themed around “food” was hosted in Kitakata City by the Fukushima Team, representing the TOMODACHI Alumni Regional Framework Tohoku-Hokkaido Region’s Theme Event. Around twenty people, including TOMODACHI alumni and other guests, joined the tour. The event was planned and organized by Regional Leader Daichi Seino, and stemmed from the Welcome Event held in May. At the Welcome Event, participants voiced, “Fukushima’s food has overcome its reputational damage, and has charm that is different from that of other regions.” By conducting a tour themed around “food,” the tour aimed to connect professionals and students, and to showcase attractions related to food from Fukushima. 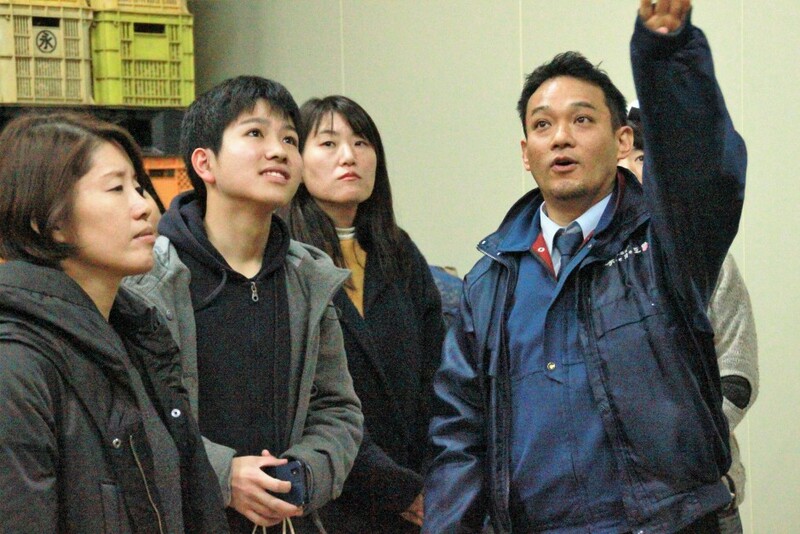 Led by guide Miki Yamada of Waramusubi, who is from Kitakata City, the participants visited companies and organizations associated with food. First, the participants visited Okuya, a company selling and harvesting peanuts and other products from the Aizu region. 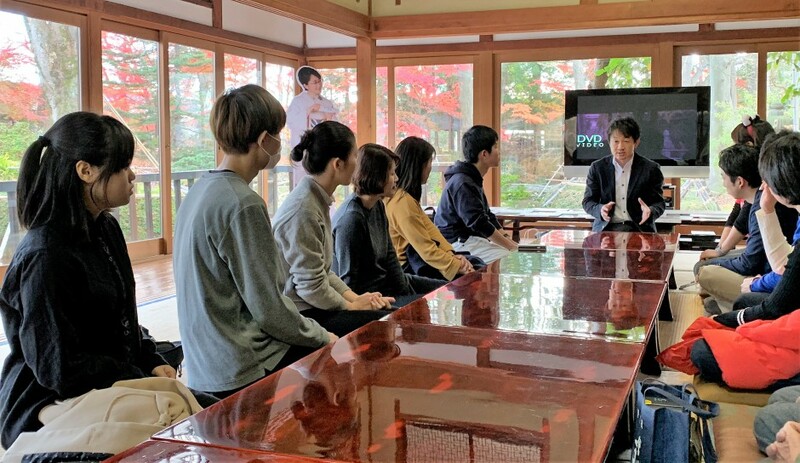 After a tour of the facilities, the participants met with President Kentaro Matsuzaki, and heard about ways the company’s business development values engagement with people from local communities and the ways it thrives to create a friendly working environment for employees. Next, the participants visited Homare Sake Brewery Co., Ltd., and heard from President Hiroyuki Karahashi. His stories included ways the company, with over a hundred-year history, is actively expanding internationally, and ways each kura (sake storehouse) in Kitakata City communicates with and inspires one another in order to maintain a high quality of Japanese sake. Finally, the participants visited a rice farming company called Yamadazu, which is also the home of Ms. Yamada. They learned how much “jinryoku” (human power) and “jinryoku” (efforts) must be expended before rice makes it to consumers. Participants reflected on the event with comments like, “the event made us realize the wonder of food again,” “I realized my powerful ability to never give up,” and “it provided me with an opportunity to learn about what makes a good company.” Thanks to many supporters, the event concluded successfully. This event is part of the TOMODACHI Regional Framework, which is supported by the TOMODACHI Generation Alumni Leadership Program supported by Prudential.